Usually, at school, kids are taught to play football or netball, or cross country running to keep fit. But if you don’t want to keep the exercise confined to school, you can encourage your kids to try some different sports outside of PE classes – something that appeals to their adventurous and active nature. This isn’t just a fun activity to wrap up warm for at Christmas-time – you could encourage your kids to try ice skating all year round. It’s a great form of exercise with many health benefits, helping to improve posture and balance, building endurance and providing stress relief. Not only that, they’ll love picking out their own skates and there’s so many cute ice skating accessories to add to their collection too! There’s colourful bags to carry their skates in and adorable animal blade covers – with seal pups, tigers and pandas available that are guaranteed to bring a smile to their faces! Often thought of as a sport where you stay stationary, archery actually requires a lot of skill, strength and focus. Drawing the bow string builds up your upper body strength in your arms, chest, shoulders and back – which is similar to lifting weights. To be able to make an accurate shot, good balance and hand-eye coordination is vital (and something that can be built up) and being able to focus is important, too. All these qualities are good to develop in your kids for a healthy body and a healthy mind, as well as giving them a fun and unique activity to try out! 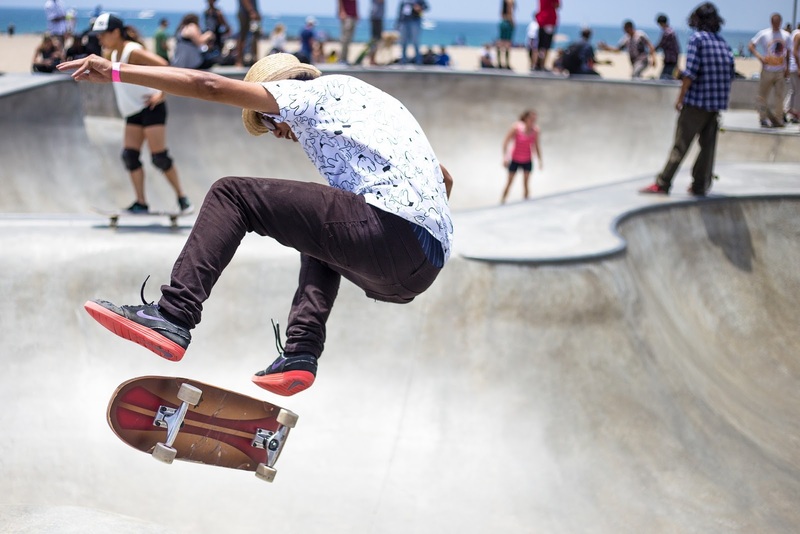 Skateboarding is something that encourages physical fitness and endurance, as well as developing balance, flexibility and precision. This sport is something that kids have been enjoying for many years and it’s now considered as a culture, not just a sport. It can be something your kid wants to practice in the back garden and once they’ve improved their skills, it’s a great way to make friends too at the skate park! Another unique sport to encourage your kids to try is badminton. It encourages them to get outdoors and away from their computer or phone screens and also develops athleticism. Being able to read an opponent and pre-empt their moves will help to build their strategic thinking, which is a skill they can use in the future. Plus, it’s fairly inexpensive to buy badminton equipment so you know that if they choose another hobby down the line, you won’t have spent a fortune! If you think your kids will enjoy trying something a bit different, suggest these three unique sports for them to try out. They’re sure to have fun with them, as well as keeping them healthy and active!